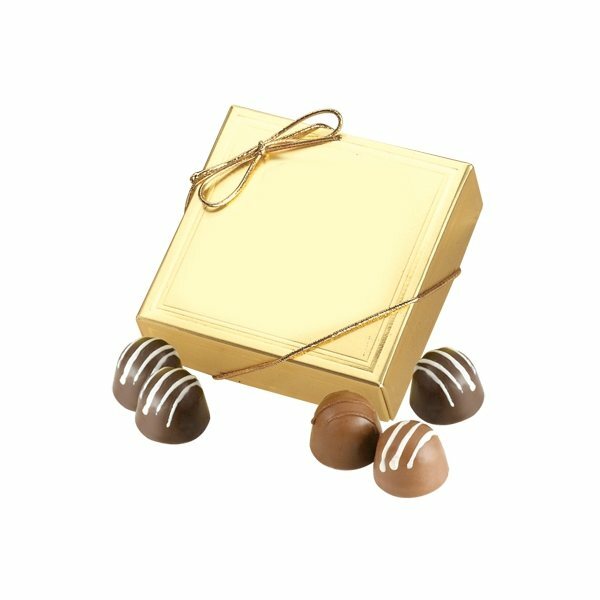 Dark or Milk Chocolate Truffles with creamy chocolate centers are available in a wide variety of gift sets designed to meet special promotional needs. Gift Box featuring delicious 4 piece truffle selection. I bought this item for our teachers, plus they appear happy using the product! We order these annually. Everyone loves them and can't do without them. We highly recommend them. They are nice and came much sooner than promised. quality and logo. the product was accurately represented in the photos and description so I was not disappointed when it arrived. Clients love them. Veronica patiently worked with me to not only get our logo placed on the product but answered all questions in a timely manner. I wish I would have ordered more info on it.